Ever fancied the idea of packing the kids and all your stuff into a camper van and heading somewhere completely different? 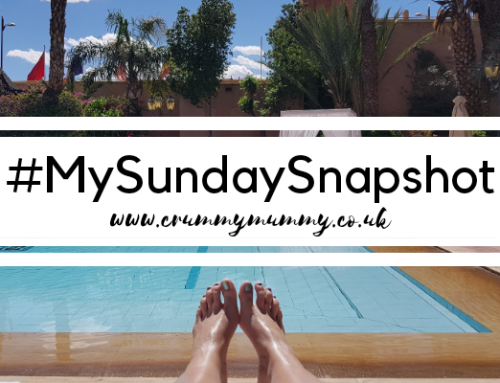 We did just that for Misery Guts’s 40th birthday and I can honestly say it’s among the best holidays we’ve had as a family so far – if not the best. 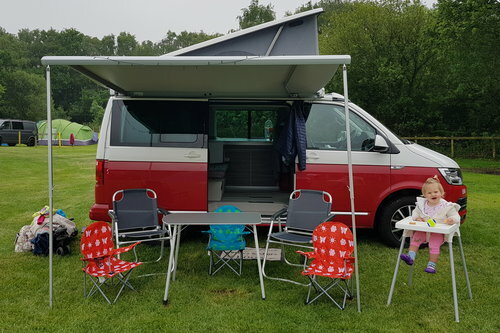 Packing a husband with a short fuse, two kids and a baby into a camper van might sound like a bonkers idea but in fact I think it’s one of the best ideas I’ve ever had. Here’s why. 1. A camper van isn’t as basic as you might think. 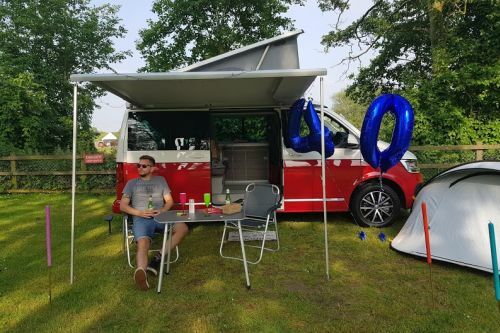 We hired a VW camper which was brand new this year with all the mod cons: a decent size fridge (big enough for food and milk and prosecco and beer), a two-ring hob and a sink as well as central heating, mood lighting and cruise control. 2. Some camper vans have pop-up tops. And what’s more fun than sleeping in the roof when you’re six? 3. You can let them go a bit feral. Because what’s the point of washing them and their clothes every day when they’re going to get fithly again two minutes later? 4. You can give them freedom they wouldn’t get at home. Like letting them go to camp site play areas by themselves (what’s the worst that could happen?) sending them to do the washing up (character building) and not strapping the baby into the high chair. 5. It’s time away from screens. Although our camper van came with on board electricity and multiple USB points we left their tablets at home meaning there was no YouTube or TV for a week. And they didn’t miss them once. 6. You don’t need to pack any toys. I packed one bat and ball set and they didn’t get used once. Instead they played with each other and we did things as a family like crabbing and fossil hunting. 7. Everyone works together. 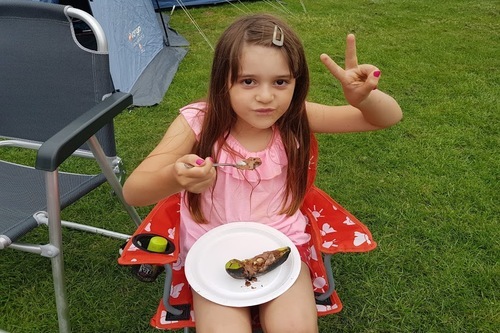 Because the day revolves around survival when you’re camping team work is unavoidable and everyone has a role – from the littlest to the biggest. Like the very important job of being officer in charge of chocolate filled bananas on the barbecue. 8. It’s a break from wiping. 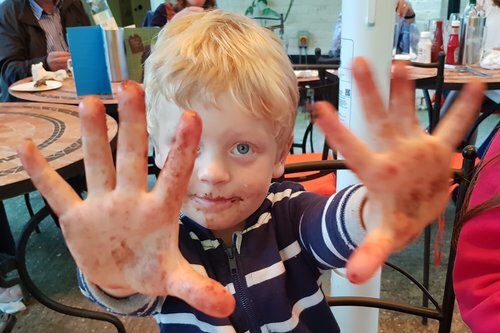 Admittedly bums still needed wiping but a camper van holiday is a break from the dreaded three-times-a-day high chair and splash mat wipe down. I just left the crumbs and spillages for the birds – one of my reasons why parenting is easier in summer. 9. They sleep better than they do at home. 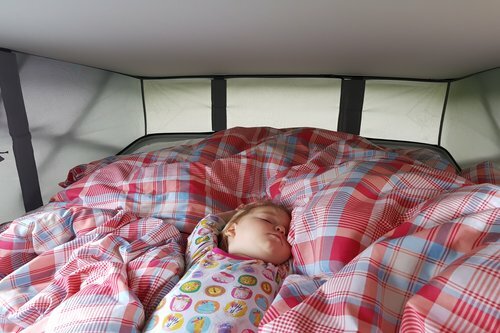 What with all the fresh air and running around and being allowed to stay up later than usual ours slept way better in a camper van than they do at home. The baby, who is normally up first, was last up every single day. 10. It’s the stuff childhood memories are made of. And grown up ones. Packing up and going away for a week in a camper van is so far removed from the normal order of things they’ll remember it forever. We stayed in a VW California Ocean hired from Loko Campers. 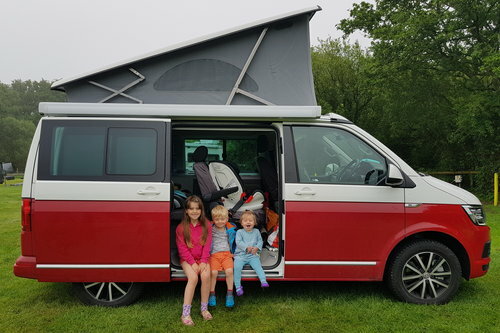 I wasn’t paid to write this post and we weren’t given the van free of charge in exchange for this post – we paid for our camper van in full and I’m simply telling you about it because we had a great family holiday and I’d highly recommend the experience! 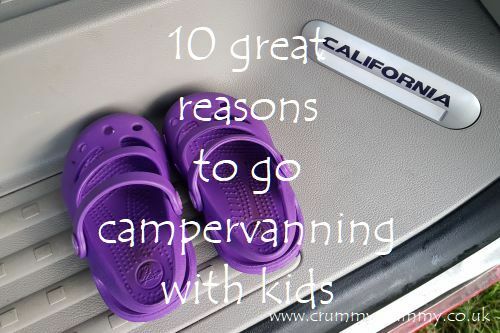 Have you ever been campervanning with kids? Would you consider it? I’d love to know! We’re massive campers and love tenting it, one day we’d love to have a camper and travel around the UK in it! Sounds awesome! We have an old camper van and visit places all over the UK and France that we would never see otherwise. You’re right about the memories created-kids love the experiences they have and treasure them all their lives.